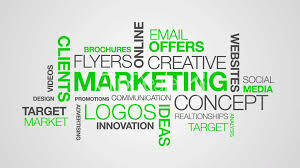 Marketing your business can be overwhelming if you don’t have a plan, but it is one of the most important things you can do to move forward in your business. There are a few key tips that can help you make the most of your marketing and make it really work for you. Tip 1- Do your research: One of the best first steps you can take to making a good marketing plan that will really work for you is to research what others are doing. There’s no need to reinvent the wheel. If someone in a similar field has found something that works, use it! Look at what other companies in your industry are doing and learn from their mistakes as well as their wins. Tip 2- Help your customers help you: Use your customers to become walking advocates/billboards for you. People trust recommendations from other customers more than any paid advertising effort you can do. Find ways to make it easy for them to share your brand on social media. Brand everything and share your social media profiles and hashtags everywhere. Have an awesome logo? Slap your twitter feed underneath and make a photo spot for it in the front of your store. Have people record a video of their experience in-store before they leave and share it on social media. There are tons of ways to make social sharing more readily available, you just have to get creative. Tip 3- Make it as human as possible: In a world that keeps moving toward automation, interaction and emotion is what sets businesses apart. People rarely buy or do business with based solely on advantages and features. They do so based off of features plus emotions. How does your company make them feel? Remember this as you work out your marketing plan. Making your business as human as possible will help potential customers/clients realize why they should do business with you instead of someone else. Think to yourself, if my company was human, what would they be like? What would their style be? What would they say or think? And then incorporate that as much as possible into your marketing strategy. Tip 4- Use technology to connect: If you are the type of business where your clients set up meeting beforehand and you aren’t checking them out on social media before you meet, you are missing out on a huge opportunity for success. If prospective employers look at social media profiles to see what type of person a candidate is, why can’t you do the same for your business clients? Looking at a prospective buyer before hand can help you get to know more about them and allows you to create the best experience for them when they walk in your door. Take it a step further by contacting them on social media before they come and tell them how excited you are for your upcoming meeting. Using technology for research and connectivity is a great way to build relationships before you even officially meet in person. And any good public relations professional will tell you, relationships are what it’s all about! Tip 5- There are no rules: When it all comes down to it, remember there are no rules. Throw away any pre-conceived ideas or thoughts you had about marketing and how it works and remember that there really are no rules. You are only limited by your creativity and imagination. This is your business we’re talking about, your baby, and no one should tell you what to do or how to market it except you. Just recognize that your decisions should be about your target audience first and foremost, and let the ideas grow from there. 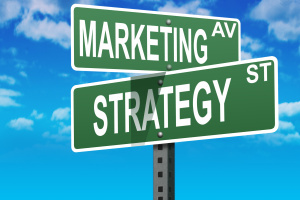 Remember these five tips when you are trying to make your marketing plan and have it actually work for you. And there’s no rule that says you have to do this on your own. Getting help from a professional can greatly increase your chance of success because they’ve played this game before. What have you done in your marketing that has really worked for you? We’d love to hear!